It's been a while since I shared my last book haul, and as I seem to be getting through new books quite quickly right now, I thought it was about time that I shared another book haul with you all! 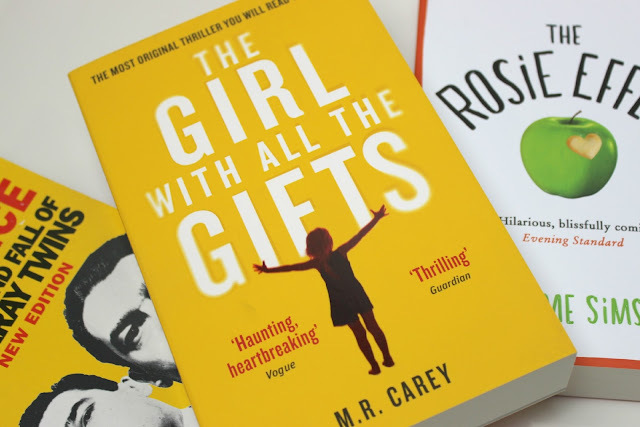 The Girl with all the Gifts ended up in my Amazon basket purely because Joss Whedon, Buffy the Vampire Slayer creator, AKA God, reviewed The Girl with all the Gifts, saying it was an amazing read. The description of the book both on the back cover and on Amazon gives nothing away at all. I'm currently reading this now and whatever I thought this book was going to be, it is the complete opposite. I'll be sharing my full review of this at the end of May when I review the books I've read this month! The Rosie Effect is the follow up to The Rosie Project, which I reviewed in Finished Reading | April 2015. 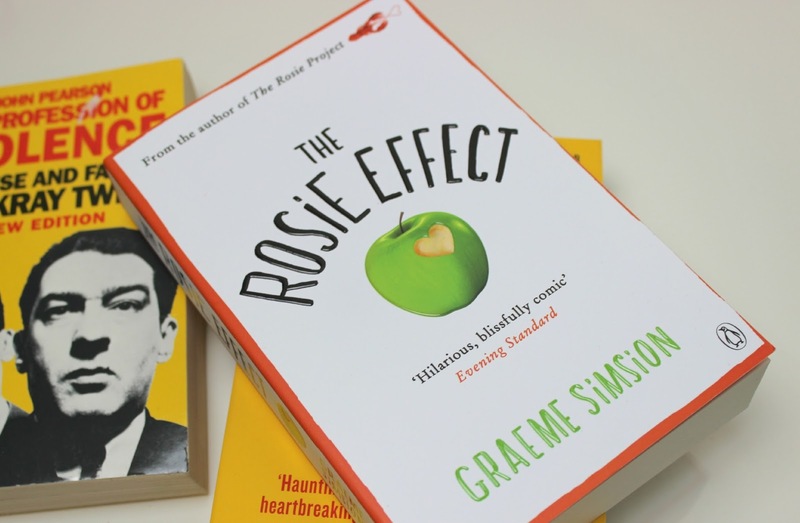 I adored The Rosie Project and I couldn't resist reading The Rosie Effect as I really wanted to know where the story led for Don (although The Rosie Project ends so well, that you wouldn't have to read the follow up). You can expect a full review of this one at the end of the month, but all I'll say now is that I really, really enjoyed The Rosie Effect. Like The Rosie Project, it left me with a million different emotions throughout and Don's character is so much stronger and more confident this time round. 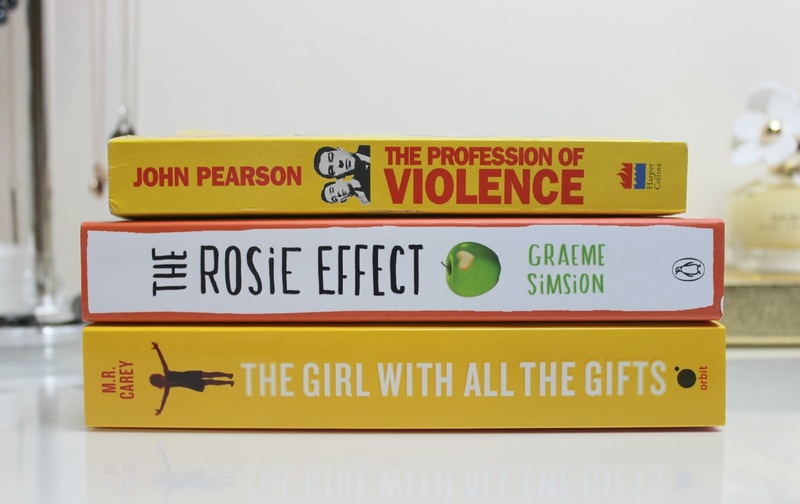 There's a bit of a yellow theme with this month's book haul, with The Profession of Violence; The Rise and Fall of The Kray Twins. 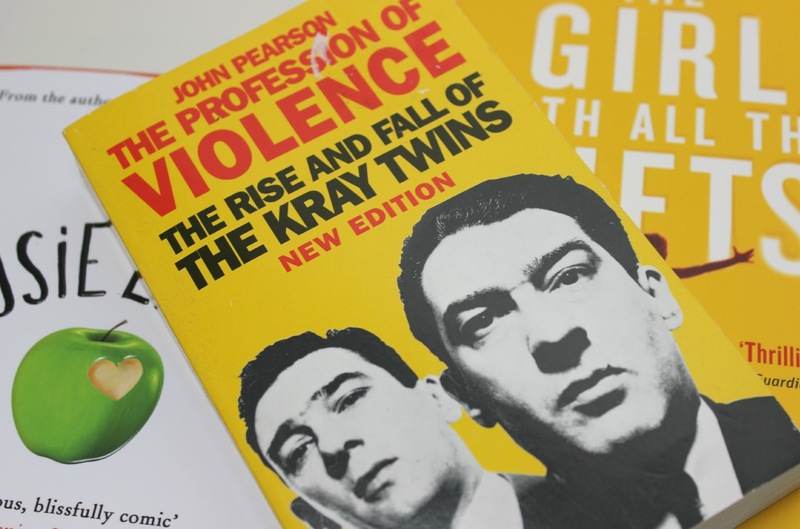 For me this is a world apart from my usual true crime books which concentrate on serial killers and mass murderers, but I've been intrigued by The Kray Twins for a long time now so decided it was worth doing a bit of research into their notorious background. For those who are new to The Kray Twins, they were notorious, violent almost mafia-style 'gangsters' in London in the 50's and 60's. Quite looking forward to getting some more in-depth info about these two, instead of just resorting to the Internet for all the facts (I find true crime books are usually more detailed and have better, factual information that's harder to find quickly and easily online). Have you bought any new books recently? All books featured in my May book haul are available on www.amazon.com. I can not wait until I've broken up from college so that I can read more! I started out pretty well this year and read a few books in the space of a month but then college got in the way! If you've got any recommendations then please do let me know!